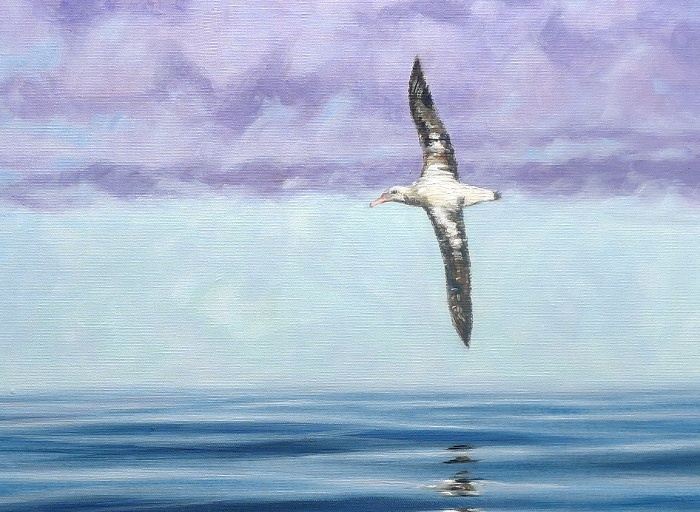 This is a original painting of an Albatross soaring over the ocean. 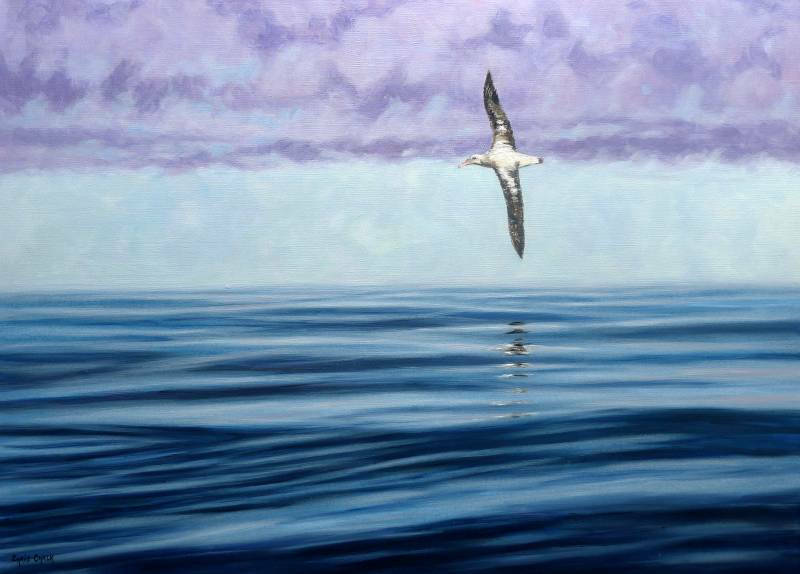 Quite a large painting 'Sky Sailor' is 36x26 inches, and as such makes quite a statement whilst also having plenty of space and sky for the majestic Albatross to sail across. 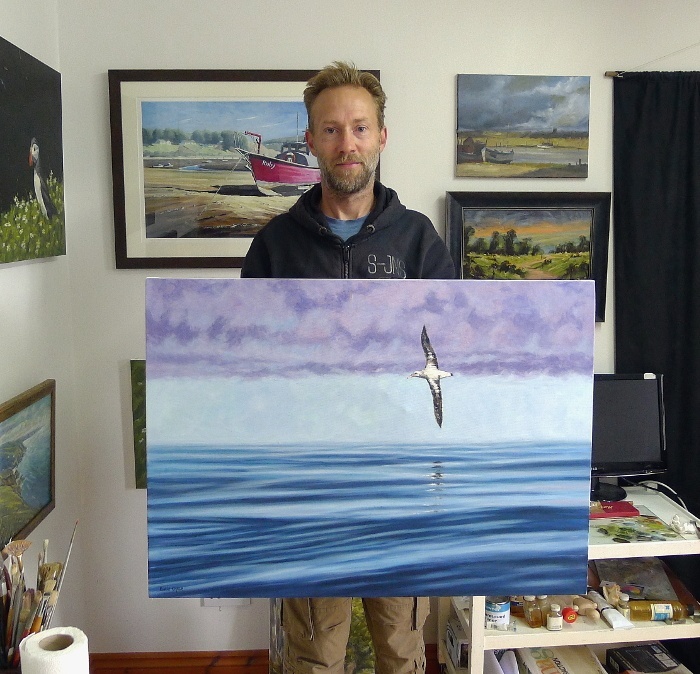 Painted on Harris Moore stretched box-canvas, 36 inch x 26 inch x 1 inch - This painting can be framed, or hung un-framed.